Knight Science Journalism Fellowship program in 2016-17 will open on January 1 and we welcome science journalists from around the world to apply for this unique and career-enhancing opportunity. 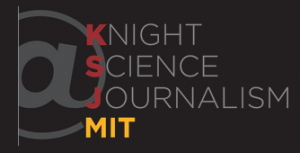 The Knight Science Journalism (KSJ) program, founded at MIT in 1982 with a generous endowment from the James S. and John L. Knight Foundation, has hosted more than outstanding 300 mid-career journalists, specializing in coverage of science, medicine, technology, and the environment, since its inception. Fellows receive a $70,000 stipend, spend an academic year in Cambridge, Massachusetts, studying at both MIT and Harvard University, and enjoy a rich offering of science seminars, training workshops and field trips offered by KSJ.